This entry was posted on Tuesday, December 13th, 2011 at 11:52 and is filed under Election 2012, GOP Candidates, Media, Mitt Romney, News, Politics. 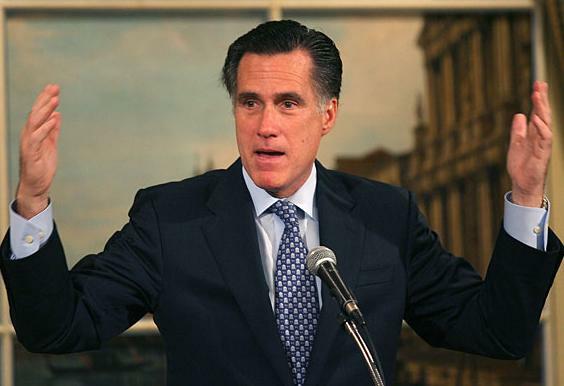 How Does Mitt's "Conservatism" Measure Up? It’s easy for candidates to claim that they had been conservatives all along, only now, when they want the votes of conservatives or Tea Party patriots, but Mitt’s surrogates in the media pretending he is a conservative is a laugh, since we see where Mitt was as recently in 2002. Or was Mitt lying to the people of Massachusetts when he said he was a moderate, with progressive views? You decide. I don’t think Barack Obama can be defeated by a progressive Republican. Told you not to trust him!!! It's hard enough to convince independents that we need conservative leadership right now. Why does the establishment ignore the fact that the GOP has a severe shortage of real conservatives in, and running for, office? This is the best the GOP can do? Mitt Romney? Newt Gingrich? For God's sake, give us a real "Taxed Enough Already" conservative! If the GOP continues to seriously consider such candidates then it's become apparent that I can no longer consider myself a Republican. I'd rather be an independent than chained to either of two heads of the same snake. Mitt scored the endorsement of TEA PARTY darling Christine O'Donnel because he backed her ! You cant tell the players W/O a score card. Obama is a consistent socialist. The only way to beat a consistent socialist is with a consistent conservative. That would be Ron Paul, according to Doyle. And I heartily agree. I will write in Ron Paul's name if I have to. We must remove all the Progressives of both parties from Congress and the White House to save this country.